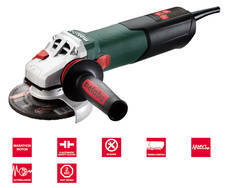 Low-fatigue like never before: compact angle grinders in ergonomic perfection with the smallest grip diameter in its power class. 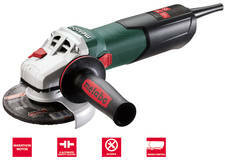 Ideal for light cutting and grinding jobs as well as deburring. 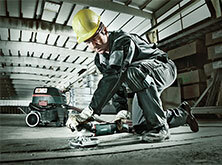 The speed variant: compact angle grinders with speed control. Ergonomic perfection with the smallest grip diameter in this power class. 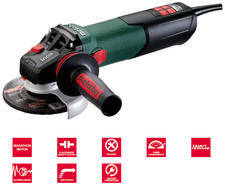 Ideal for light cutting and grinding, deburring and surface cleaning jobs. 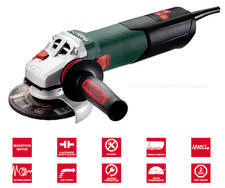 High service life - also in extreme applications: powerful and robust angle grinders with the highest power density in this power class. 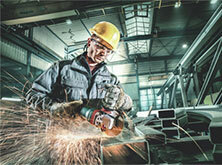 Perfect for fast work progress for intensive cutting and grinding jobs. 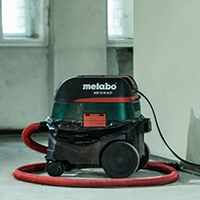 Longest service life, high work progress - in extreme applications: robust, powerful angle grinders with the greatest power density in their class. 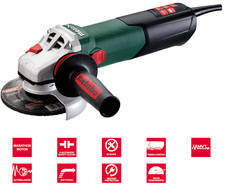 Ideal for intensive cutting and grinding jobs for continuous use. 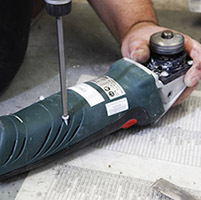 Especially designed for processing stone or stainless steel as well as intensive cleaning and light polishing work: robust, powerful angle grinders with gear reduction for higher torque, adjustable speed for material-friendly working. 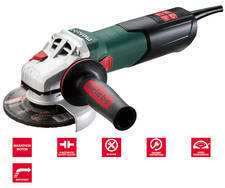 Ultimate power and unparalleled endurance: the first 1,700 W compact angle grinder - for high performance in terms of material removal, efficiency and productivity.